My first novel has been published today. And this is the hub of the subdued launch party. Any party I throw is possibly doomed to failure so I am sparing the world further hassle (after all the world has enough to deal with). So there are possible angels and possible miracles. There are dreams and there is a really nasty piece of work or two. There are tests and trials and there is a fire and more than one person dies. It’s a really hard story to describe. Whenever anyone has asked me what it’s about I’ve always struggled to answer. In the end I tend to say: ‘It’s a love story’ – but it is more than that – it’s a strange and wild love story. For example, I’ve deliberately littered the story with anthropomorphisms and broken a lot of the traditional writing rules (for example, I’ve ‘told and not shown’). I’ve used a kind of ‘butterfly-mind’ thinking which is designed to create a particular atmosphere and also parallel the imaginative mind of the protagonist and the eerie motives of the villain. Mike Sumner is the hero and the villains are a whole family named ‘Ravenscroft’. 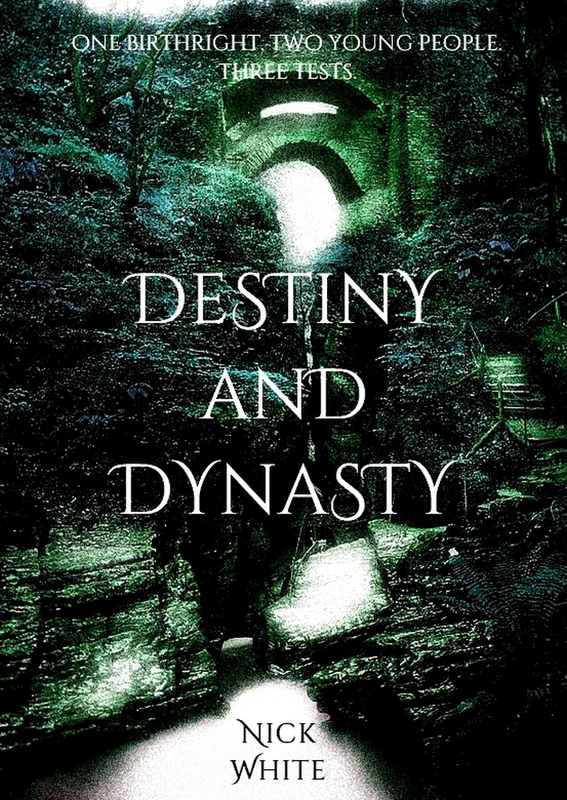 They are the dynasty. The destiny is under question. It was always going to be a case of whether or not to create a very gritty story so as to be realistic. In the end I largely turned away from that idea because everyone else was doing it. The story isn’t without realism, but there are elements of magic realism and an attempt to create a particular unique style in the storytelling. So there are supernatural elements to the story but the supernatural elements take a back seat to the main story. Why release it as an ebook first? I’ve decided to release it as an ebook first but will probably create a paperback version sometime next year. The whole landscape and environment to publication has changed and I am a great believer in ereaders so I’ve embraced the changes (for now). Anyone with a laptop. PC or tablet can read it simply by downloading the Kindle reading app: Kindle app. What are you trying to say through the story? Apart from the obvious subtexts of nepotism, sexism and corruption, my faith has influenced the story. And so the protagonist is unashamedly a Christian. This is because Christian heroes are thin on the ground in literature these days. This may alienate some readers and I’m sorry about that, but someone has to do it. The megachurch in the story is entirely fictional but I hope it is realistic. I don’t want to give too much away in case you are kind enough to read it. Above all it is a story to be enjoyed and it is not a story with a moral message – it is a story which is designed to be an escape. This is outrageous, I have rights! Give an account of yourself man!